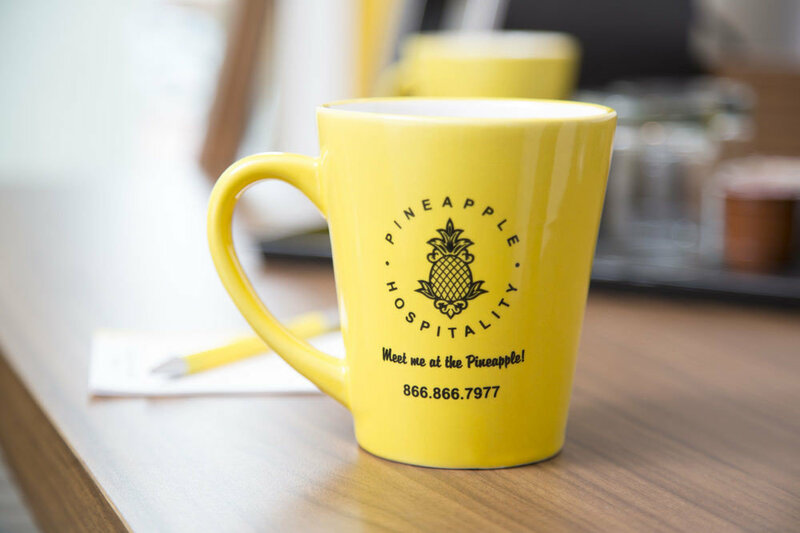 A hotel doesn’t have to be a bed and breakfast for you to enjoy both. 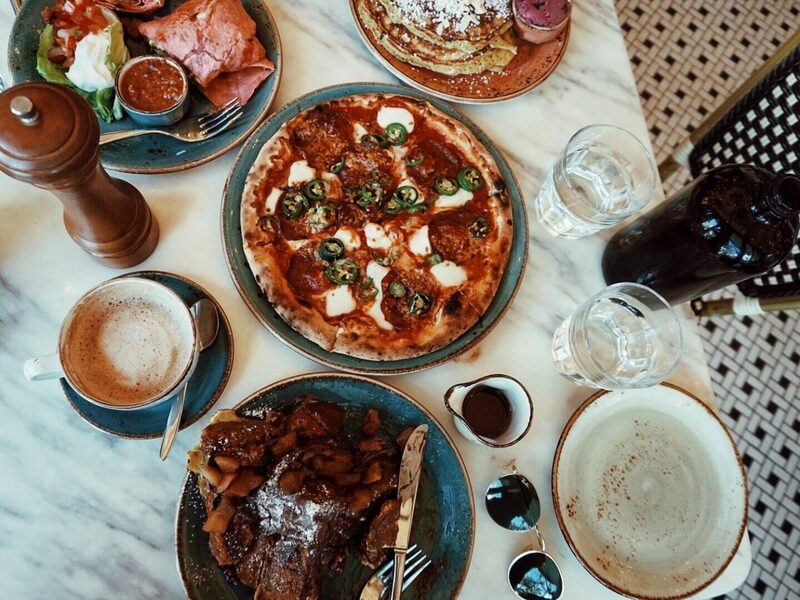 In fact, you don’t even have to be a hotel guest to enjoy breakfast at these destination restaurants—though it is a nice perk to roll out of bed and already be halfway to your table. 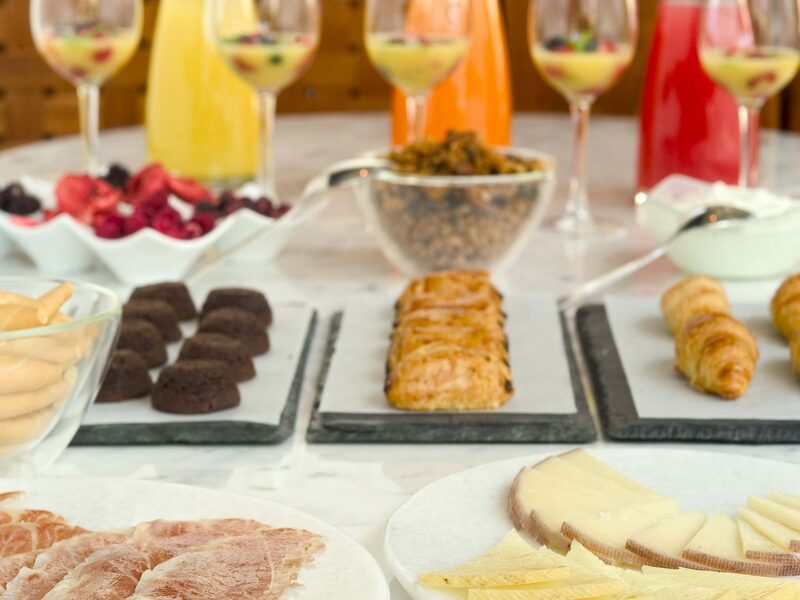 Whether you’re traveling for business, pleasure, or a little bit of both, these LA hotel breakfasts are more than worth waking up for. 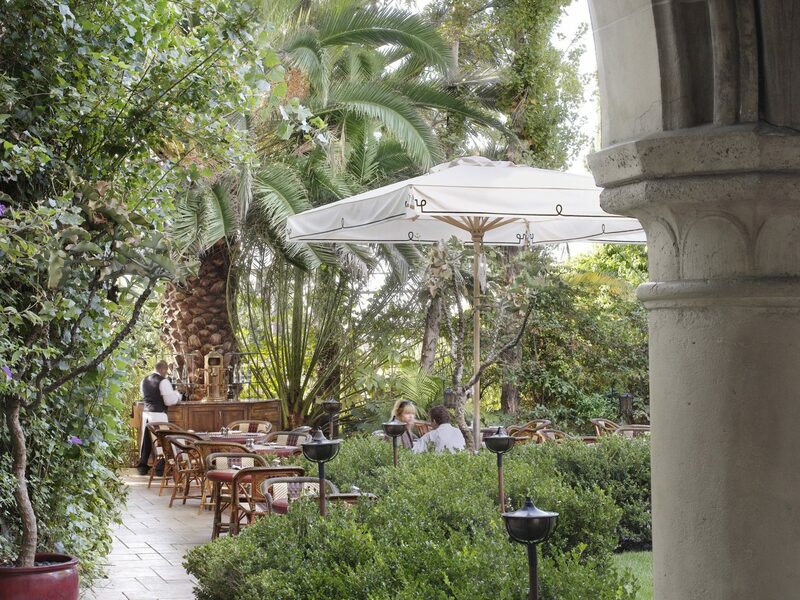 For brunching like a Hollywood celebrity, Chateau Marmont is the spot. 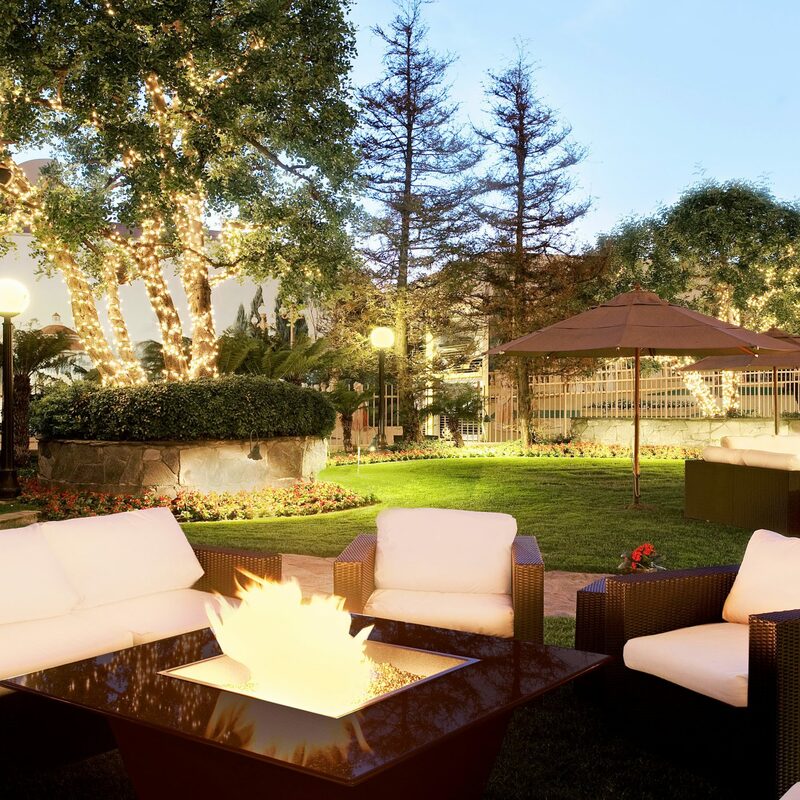 The classy hotel still retains its old Hollywood glamour, making it as much a magnet for A-listers as for casual visitors. 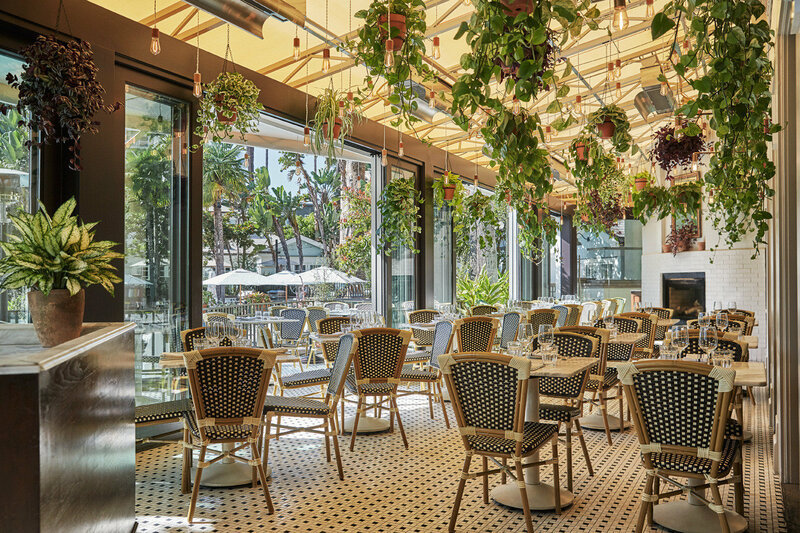 An intimate garden terrace, with bistro tables shaded by palm trees and umbrellas, is an idyllic—and semi-private—oasis to dine on shakshouka (baked eggs, spicy tomato sauce, feta, and herbs) or the popular acai bowl with grated coconut. 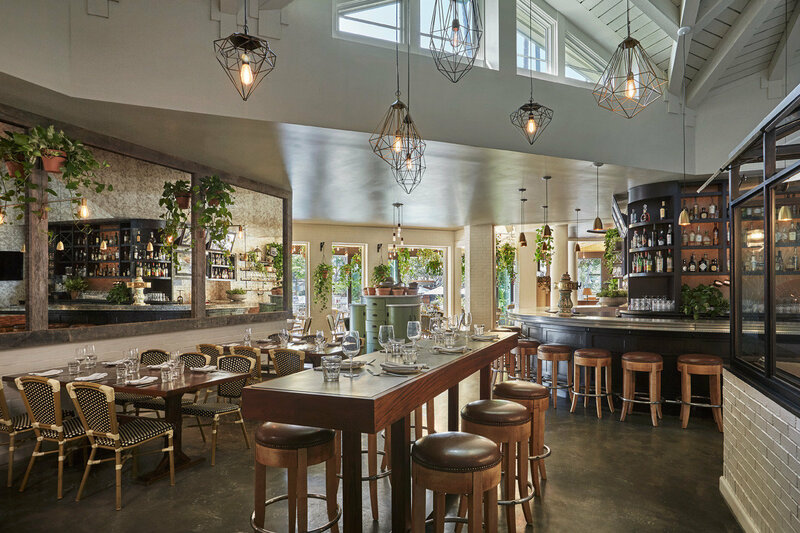 Full of natural light and decorated with ivy plants and modern light fixtures, this trendy farm-to-table restaurant inside the Fairmont Miramar Hotel has become a destination restaurant for both locals and out-of-towners. 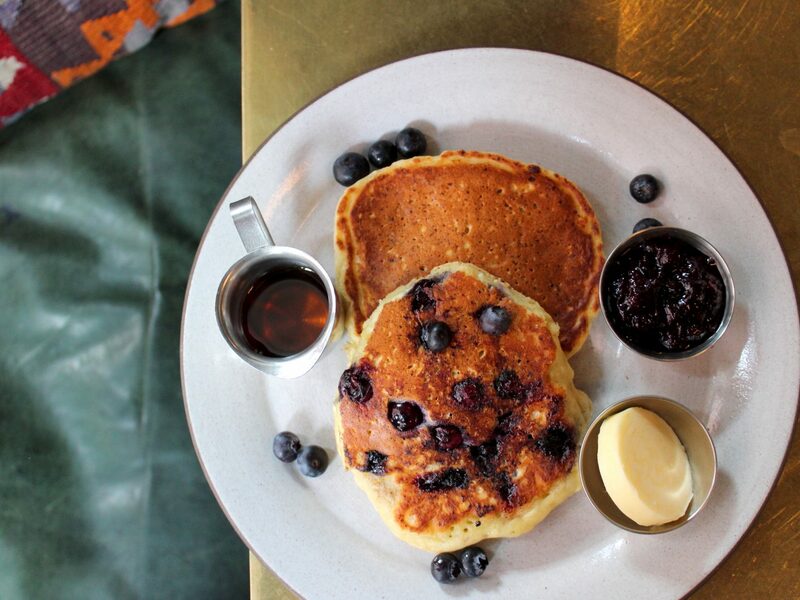 The Mediterranean-inspired menu highlights seasonal produce from the Santa Monica Farmers’ Market, best consumed in the market scramble, and includes indulgences like lemon ricotta pancakes with blueberry butter. 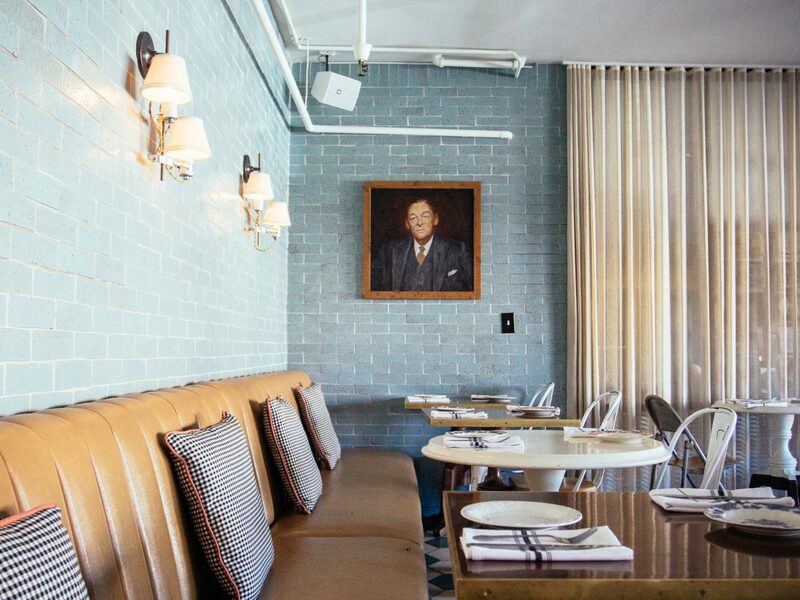 Located at the Palihotel Melrose, The Hart and The Hunter is a group favorite for its rustic fare with a Southern twist—all served family-style. Homemade warm butter biscuits with honey butter and seasonal jam, thick-cut bacon with eggs, and shrimp and grits (all ready to pair with their craft beer menu) are perfect comfort food options whether you're far from home or no. 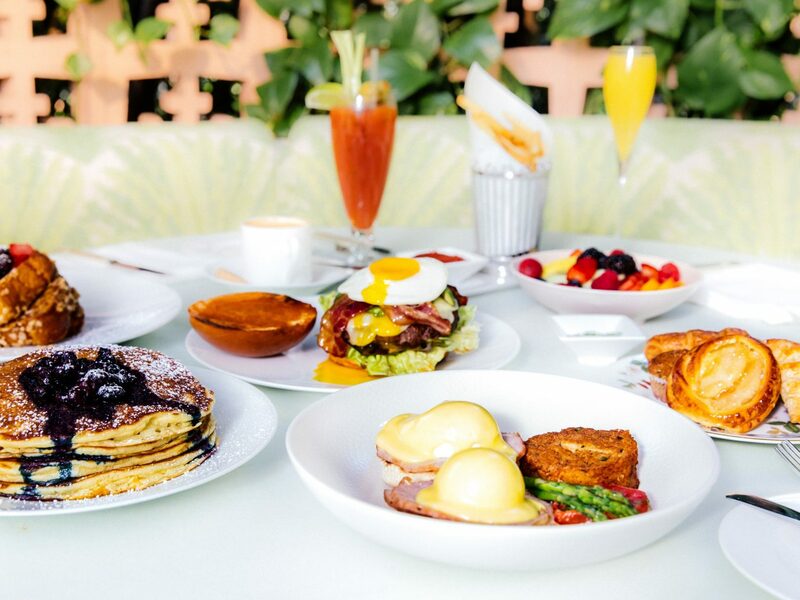 The indulgent menu at this sophisticated breakfast spot makes it perfect for celebrating a special occasion, whether that's a honeymoon, birthday, or anniversary. Quail eggs served sunny-side up and slow-cooked eggs with caviar are just some of the temptations served in the opulent yet intimate dining room. Breakfast is available daily, but Sunday brunch is worth holding out for—their seafood display features an eye-popping buffet of chilled oysters, snow crab claws, and Pacific prawns. Mardi is at its best on sunny Los Angeles days, when the al fresco patio is teeming with Angelenos. 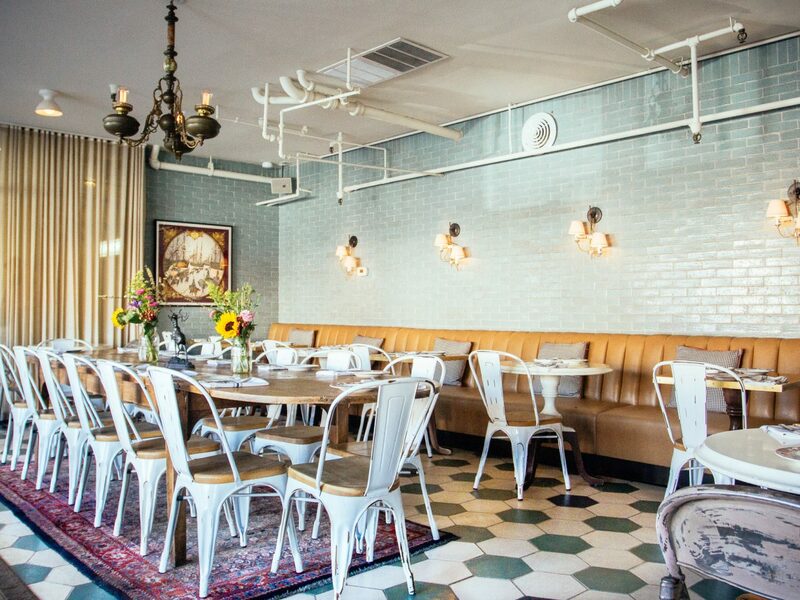 Inside, the stylish, Europe-meets-California décor includes bistro tables, booth seating, tropical plants, and bright accents. 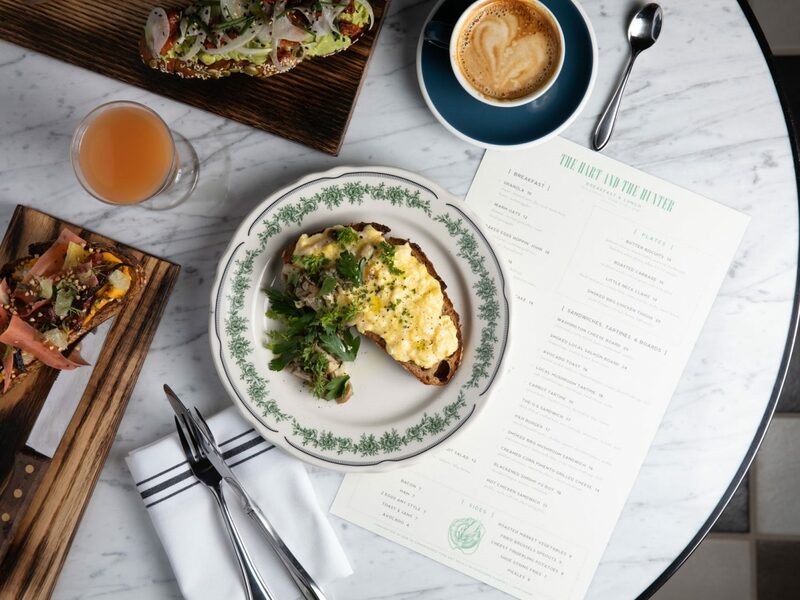 Wherever you choose to sit, small plates—fresh ricotta with caramelized honey and thyme; albacore crudo—are easy to share with a group, while the hearty mains—steak and eggs; french toast—are ideal for recovering after a long night out. 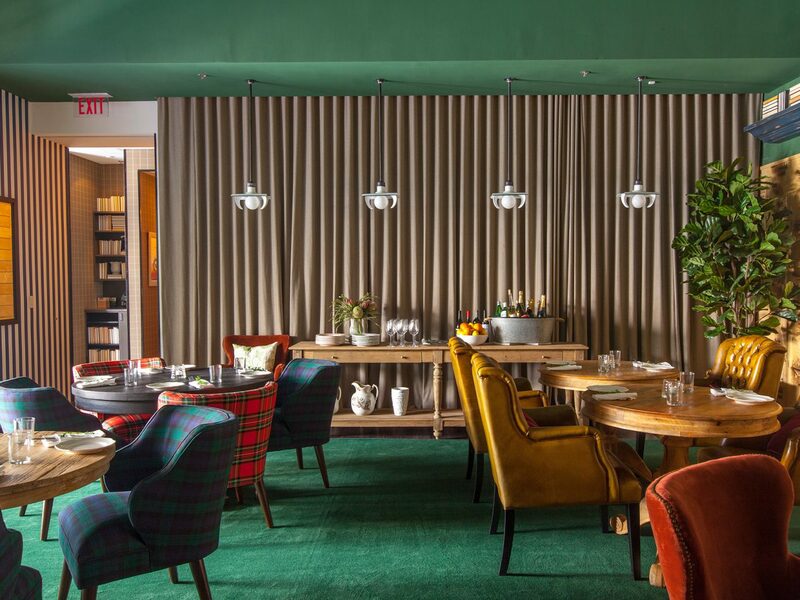 Breakfast at Best Girl, in the always-hip Ace Hotel, is straight and to the point, making it perfect for visitors with a packed schedule. 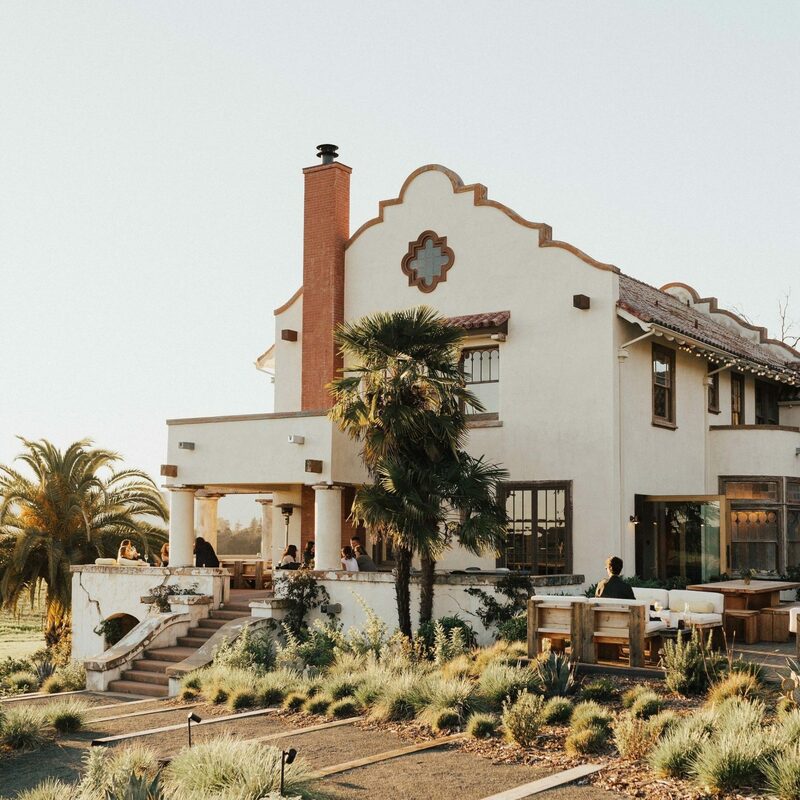 The black-and-white bistro serves quick and healthy options like overnight oats with coconut milk and acai butter and avocado toast, while weekend brunches are more involved, featuring crab cakes and chilaquiles. 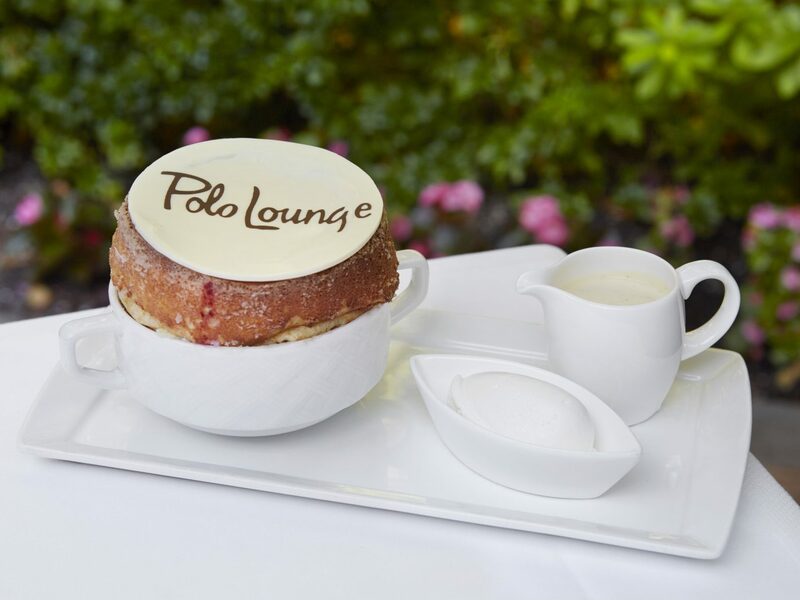 A candy-striped ceiling, oversized booths, and Art Deco décor makes the Polo Lounge at The Beverly Hills Hotel an easy breakfast pick for a leisurely weekend brunch. 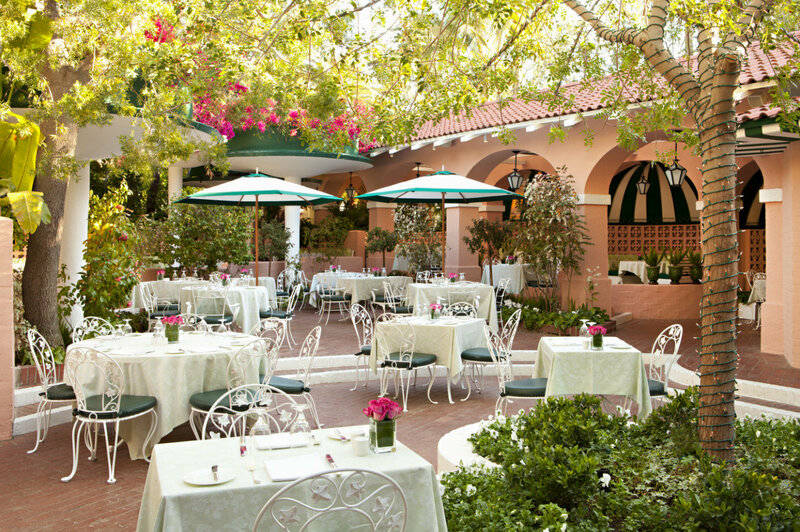 If the sun is shining, the pink, bougainvillea-strewn courtyard is the ideal setting for enjoying their three-course Sunday brunch featuring live jazz. 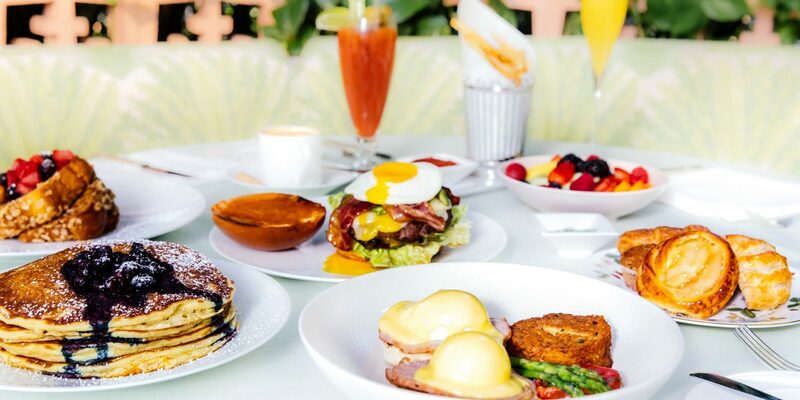 Breakfast classics get done-up, like lobster avocado toast and truffle eggs Benedict. Don’t forget to order a bellini.